Getty/Scott OlsonCustomers love shopping at Amazon because of its quick shipping, according to UBS. 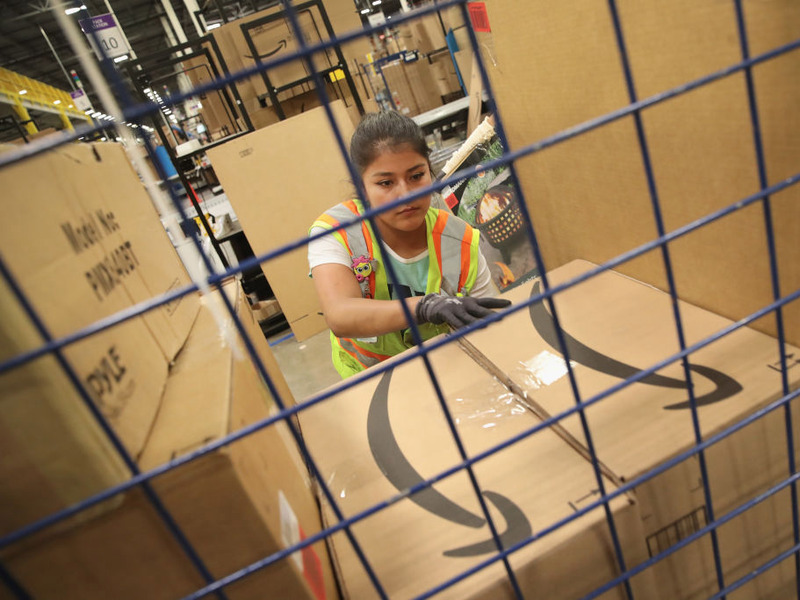 The rapid growth of AmazonPrime was expected by many to cut into Costco’s business. UBS analysts now say customers have different and distinct reasons for shopping at both stores, which reduces the competition they have between each other. Frequent Costco shoppers were more likely to be Prime members, according to a survey done by UBS. Many expected AmazonPrime’s success to come at the expense of Costco. As the e-commerce giant’s membership program was rolled out and improved, analysts thought customers were likely to ditch Costco and head to Amazon. “The risk is that as Amazon continues to improve Prime’s value proposition and add more layers to the Prime service, US households could cancel subscriptions for one or both of the Warehouse clubs. At a minimum, the number of consumers opting to just use Costco and/or Sam’s Club ‘Only’ is likely to continue to decline,” Cowen & Co. wrote in a note to investors in September 2016. Now, analysts say that the opposite is happening. According to a survey of 1,500 shoppers, done by UBS and released Thursday, the overlap of Costco shoppers and Amazon members has grown in recent years. In December 2015, 50% of Costco shoppers were also Amazon Prime members, but that number has grown to 62% today. Moreover, the most frequent Costco shoppers – those who shop there over four times a month – were more likely to have a Prime membership than those who shopped at Costco less frequently. Amazon does not disclose how many Prime members there are, but GBH Insights estimates that there could be as many as 90 million, up from 80 million in 2017 and 58 million in the previous year. Amazon Prime members pay $US12.99 a month – or $US99 a year – to have access to services such as free two-day shipping on certain purchases and unlimited streaming of movies and TV shows with Prime Video. Meanwhile,Costco reported in March 2017that it had 88.1 million total card-holding members. Costco members pay $US60 a year for “gold star” or business memberships and $US120 for each of the two executive plans, which include extra savings and benefits like 2% back on purchases. The growth of Amazon and its Prime program was expected to cut into Costco’s business, but according to UBS, this hasn’t been the case, as there are distinct reasons why customers would shop at each store. Costco’s unique selling point is its better prices and deals, according to UBS. The Costco shopping experience is about buying in bulk and saving money. 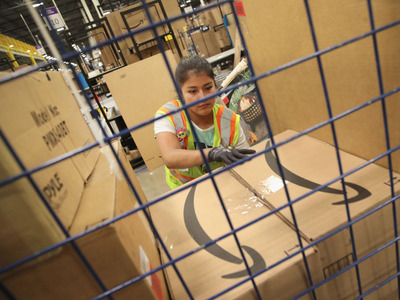 Amazon Prime’s strength, on the other hand, is its quick, two-day shipping and convenience. “The results of our survey provide a compelling reason to believe there is plenty of room for both Costco & Amazon to thrive in the current environment,” UBS analyst Michael Lasser wrote in the note.